Honor strength and commitment with an elegant glass trophy! Using black silkscreen, a stylish spire adds a stunning background for your personalized design! 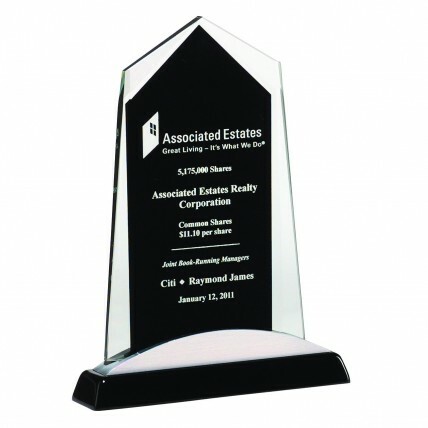 The Monument Silver Arched Glass Trophy sits securely in a black and silver arched base. Add up to 8 lines of text and/or logos to your choice of 3 sizes of this majestic trophy!